In order to enjoy Oregon wine tours to the fullest, it’s important that you start out with a good wine tour plan! Sea to Summit arranges all the necessary winery reservations and a tour itinerary that is comfortable and relaxed for your wine tour outing. If there are particular wineries you would like to request visiting, please bring them to our attention when making your wine county reservation. Lunch options during your Oregon wine tour range from quaint bistros to gourmet delis and a picnic at one of the more scenic wineries. Sea to Summit will discuss lunch options for your day in Oregon’s wine country prior to the trip. Either way, leave the driving to us. We’ll get you there and back in complete comfort. Our friendly and knowledgeably drivers will make sure your Oregon Wine tour trip is unforgettable! What Makes This Region So Good For Wine? 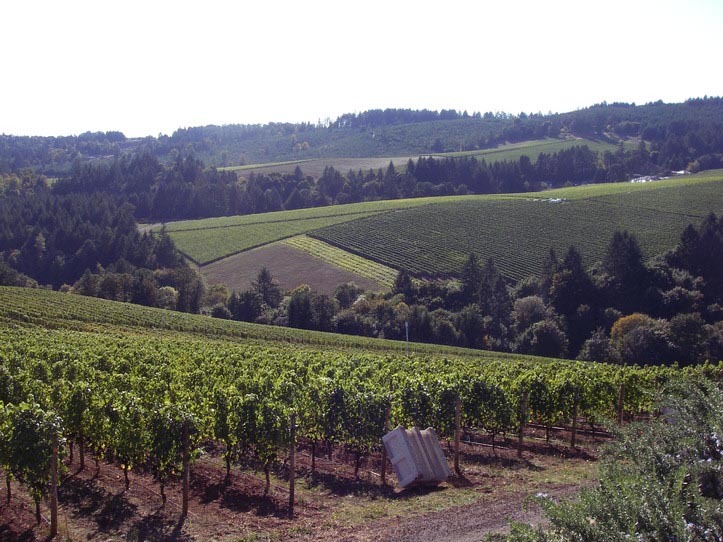 Oregon’s Northern Willamette Valley is closest to Portland and is located in a old volcanic and sedimentary sea bed. This provides excellent drainage for superior quality wine grapes. The combination of soil, coastal marine air and temperate climate of Oregon’s Willamette Valley is ideal for cool climate grapes, such as the award winning Oregon Pinot Noirs. The Northern Willamette Valley is located within an hour’s drive from the Portland metro area. This close proximity to Portland, Oregon creates a perfect opportunity for a day of touring Oregon’s wine country with Sea to Summit Tours & Adventure. Sea to Summit can also further customize Private Wine Tours to your group’s interest and individuality. Individuals can join public tours headed out from downtown Portland or Sea to Summit can help customize Oregon wine tours or Portland brewery tours that suits your groups interest and individuality!